If that police pickup truck, parked across the street from the Police station, wasn’t there then where could we be, and when? 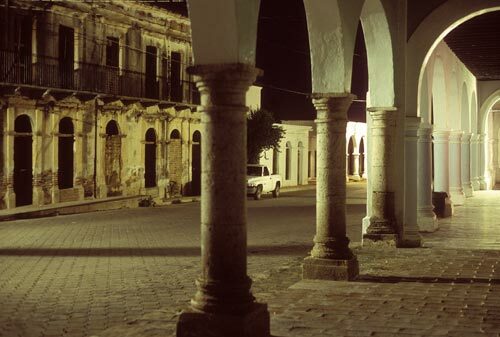 The answer is Álamos, Sonora, Mexico circa both 1800 and 2011. This is a portrait of power. 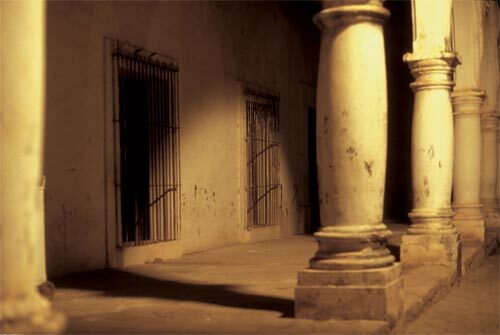 At the western end, the cobblestones leads one up the steps and into the Cathedral’s side doors. Down the block to the east, the Governor and Bishop mansions were, and are, across the street from one another. Thousands of miles to the east is Spain, thousands of miles to the west is China and at one time they were both here, and today their DNA marches on. 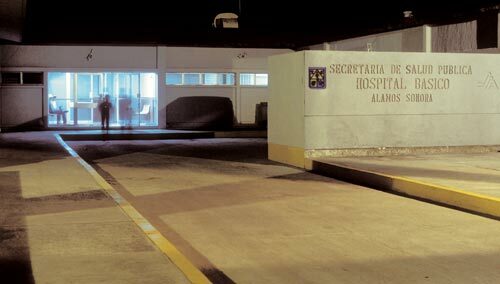 On the way into Álamos Centro a regional – basic care hospital is setback on the right. At night, this scene could be an emergency room anywhere in the world. I had need to visit after one long difficult day into night. The doctors were here in Alamos for one year’s mandatory service, a bridge between medical school and where they would go to make their livings. That night, my doctor came from outside Guadalajara and hoped he would be going to Tijuana, to be on the frontier of modern Mexico. I was impressed by how he looked me in the eyes, how he touched and probed, and by the questions he asked and how he listened and responded to my answers. He was in the moment, and the moment was all about bringing me comfort. It was not about profit or loss. It was about me.